Regency Society publishes new book, Chroniclers of Brighton. 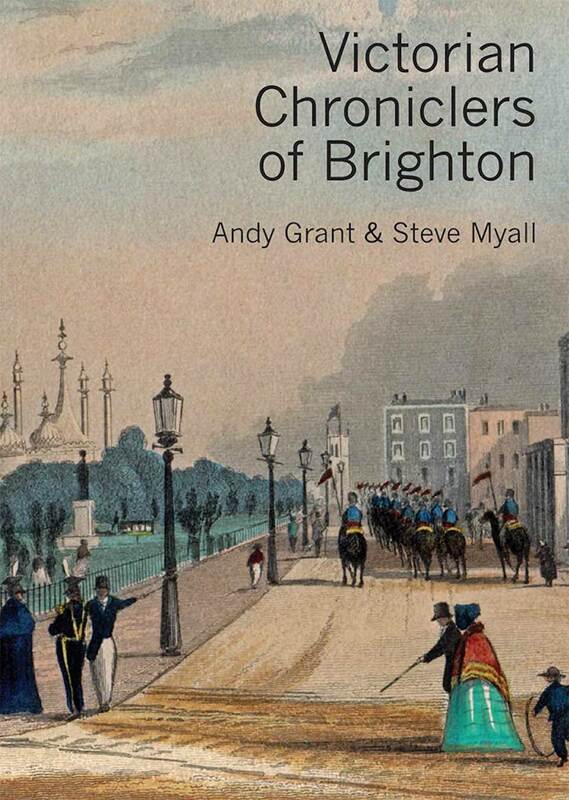 The Regency Society is delighted to be publishing Chroniclers of Brighton by Andy Grant and Steve Myall to coincide with the launch of our website of historic prints of Brighton and Hove. The new site is based on the private collections of members of the Society of Brighton Print Collectors. Read more about the new website here. All proceeds from the sale of this book will go to the Regency Society, enabling us to fund more projects directly related to the heritage of Brighton and Hove. The price of this hardback book, edited by RS trustee David Fisher, is £20 (plus postage and packing). Every copy for sale from the Regency Society is numbered and signed by the authors. You can order a copy at the bottom of this page. The history and daily occurrences of Brighton began to be documented as soon as the town became fashionable. John Ackerson Erredge’s The History of Brighthelmston, or Brighton as I View It and Others Knew It, published in 1862, is perhaps the most often referenced source. John George Bishop, who joined the staff of the Brighton Herald in 1839 at the start of a 62-year career at the newspaper, was the most celebrated Brighton historian in his own lifetime. Their contributions to the literature about the town and their own places in its history are described in this book. The authors of the earliest histories of Brighton have been included as a prelude to introducing the major players. Before photography, sights and scenes were recorded in prints. Brighton was fortunate in being a place that attracted artists as well as tourists. Their work, presented as engravings, aquatints and lithographs, resulted in prints for residents to hang on their walls and visitors to take away as souvenirs. The other two key chroniclers of Brighton commemorated in this book are the town’s leading print publishers: William Grant and W H Mason. 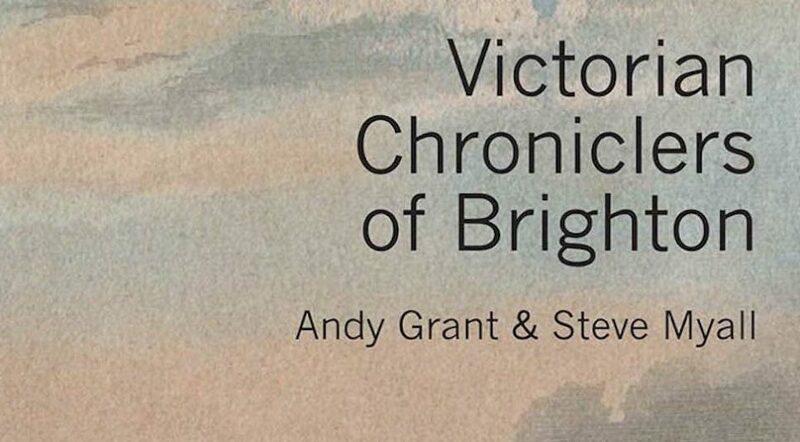 Andy Grant and Steve Myall tell the story of the triumphs and tribulations of Erredge, Bishop, Grant and Mason with illustrations of the publications and prints from their own collections. Between them these four epitomise the Victorian Chroniclers of Brighton. Andy Grant has been a lifelong collector of antiquarian books and ephemera centred upon Brighton, with one of the most comprehensive private collections of local directories spanning two centuries. He started his working life as an architectural illustrator for the Department of Ancient Monuments and Historic Buildings, but after six years changed careers to become a railway signal engineer. He has been a volunteer researcher for the My Brighton and Hove website for many years, writing occasional articles and assisting others with their queries on Brighton local history, including contributions to radio and TV programmes and the works of other authors. He is the great-great-grandson of the Brighton print publisher William Grant and has a modest collection of his topographical prints. 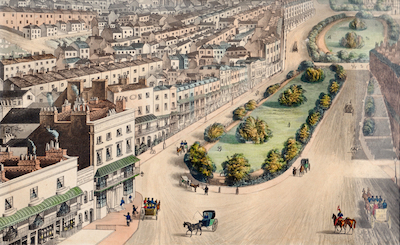 Steve Myall is a member of the Regency Society and has been a collector of 18th and 19th century engravings of Brighton and Hove for over 40 years. He is is the author of The Victorian Development of the Clifton, Montpelier & Powis Estates of Brighton. He spent the first 26 years of his working life with the Mayfair art gallery Arthur Ackermann & Son—the same business where, under its founder Rudolph Ackermann, W H Mason worked as a young apprentice before opening his own gallery in Brighton early in 1832. Steve has been centrally involved in work on the new website including sourcing the images and writing the very many invaluable annotations. To order the book (£20 per copy plus £2.80 p & p) please choose the number of copies you would like to order and click the 'buy now' button.